“Too extreme.” Democrats have been repeating that for years, as if it was a mantra. They like to trot it out against middle of the road candidates, and in doing so over the years they have lost all credibility. It’s like the boy who has cried wolf…since 2010. 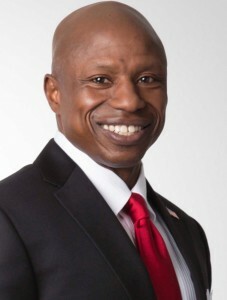 Now they are trying to attach the label to Darryl Glenn, a retired Air Force officer, businessman, and Air Force Academy graduate. Glenn, who was an also-ran until his amazing speech at the Colorado Republican Convention this year, brings to the table a record of achievement and distinction in the areas of national defense, respect for the Constitution, and grassroots support that easily outshines embattled Democratic U.S. Senator Michael Bennet. So, like a broken record, Democrats are resorting to personal attacks against Glenn. Voters are tired of that kind of negative messaging. Contrast the Colorado Democratic Party’s new attack video against Glenn, titled “Too Extreme,” with some of the content that Coffman is putting out. In the vacuous “Too Extreme” video, the Democrats do not even address a single one of Glenn’s positions – they simply say that he will support his party’s presidential candidate, against a backdrop of ominous music and grainy pictures. In one of Coffman’s latest ads, a diverse group of voters give testimonials about Coffman’s achievements and how he has worked to make a positive impact on many communities in his district, such as veterans, minorities, and small business owners. The intellectual laziness of these Democratic attack ads may rally their base, but they are not going to sway independent voters, who are too smart for this tired and disliked campaign tactic. Then again, unfortunately for Democrats, their ideas and policy goals aren’t exactly winners either.